Hey ya'll! 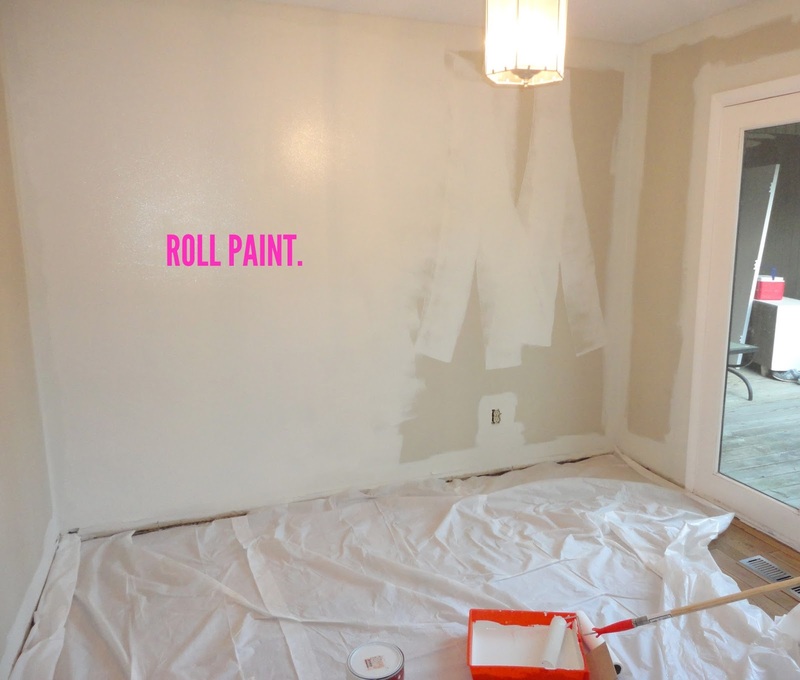 Today we're talking about another one of your FAQS: How to paint a room. Painting a room seems really easy to me now, but I remember how daunting it can be if you've never done it before. Let's not forget, four years ago I had never held a paintbrush, and I didn't even know where to find such a thing. What's this Depot of the Homes you speak of? And who is this 'Lowe' fellow? You mean Rob? So, needless to say, I've learned a few things through the years. And through all of my awkward trials and errors, I eventually figured out the best way to paint a room. These days, I can finish a room in about 3 hours tops, and it usually looks pretty great. It wasn't always that way. But let's not dwell. 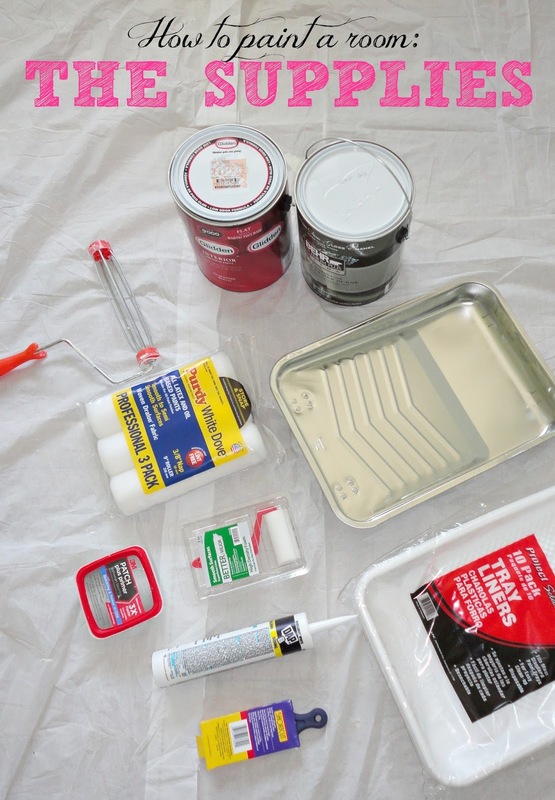 So, let's get started with the basic supplies you'll need to paint a room. There are an insane amount of paint supplies on the market. I've tried so many different products, and most of them get the job done. Listed below are my favorite items that I usually use on each job, just to make things easier on you. If you find something that works even better, let a girl know. Above links are Amazon affiliate links. Once you have your supplies, it's time to paint. I've broken the process down into 10 steps. Not all of them are necessary for every job, so if they don't apply to you, rejoice and skip to the next. 1. Cover the floor with dropcloths. Definitely don't skip this part. You will fling paint somewhere random, no matter how daintily you paint. I prefer the plastic ones because they're cheap. Plus, let's be honest, every time I buy a real one I tend to hack it up and make a headboard or something. 2. 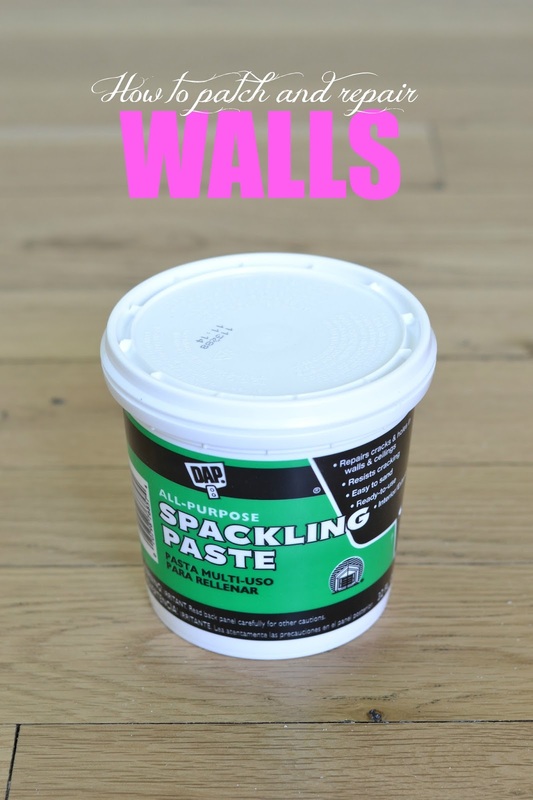 Fill any holes or imperfections in the drywall with spackling paste. 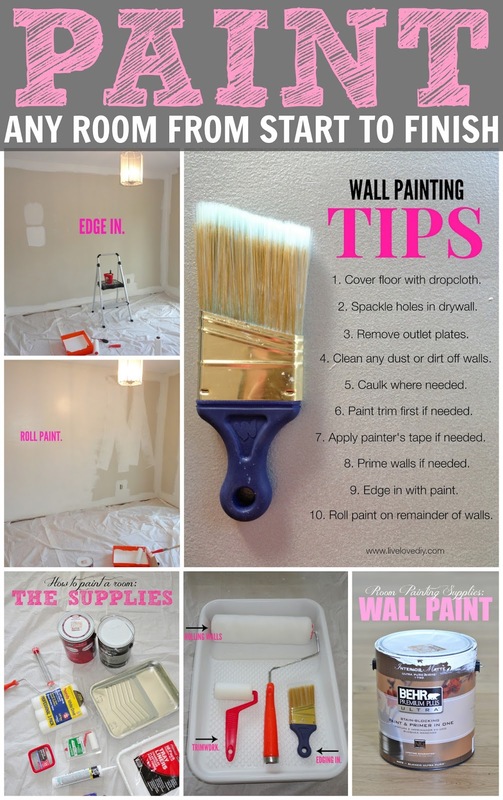 Wait for the spackle to dry, and then sand it even with the wall using your sanding sponge. That way when you paint over the patch, you won't even see it and it will look good as new. Our walls were really beat up after sanding off the stain debacle, so we had to repair tons of holes and dents in the drywall before we painted. While we were at it, we removed another 1970's relic from the house, which had become extra visible since knocking down the hallway wall. Well, Jesse turned off the electricity, did a little digging, and just decided to remove the doorbell and the broken smoke detector next to it (There's another one that actually works on the ceiling.). So, we patched it using some drywall repair patches (affiliate link), which are excellent if you have large holes in the drywall. Then, we just covered the patches with spackle, let it dry, sanded it smooth, then painted over it. Oops... lengthy hallway ramble. Moving on. 3. Remove all outlet plates. There was a time when I used to just paint around these things, but I live, I learn, I remove outlet plates. All you need is a screwdriver. 4. Make sure the walls are clean by wiping off all the dust or grime with a damp cloth. 5. 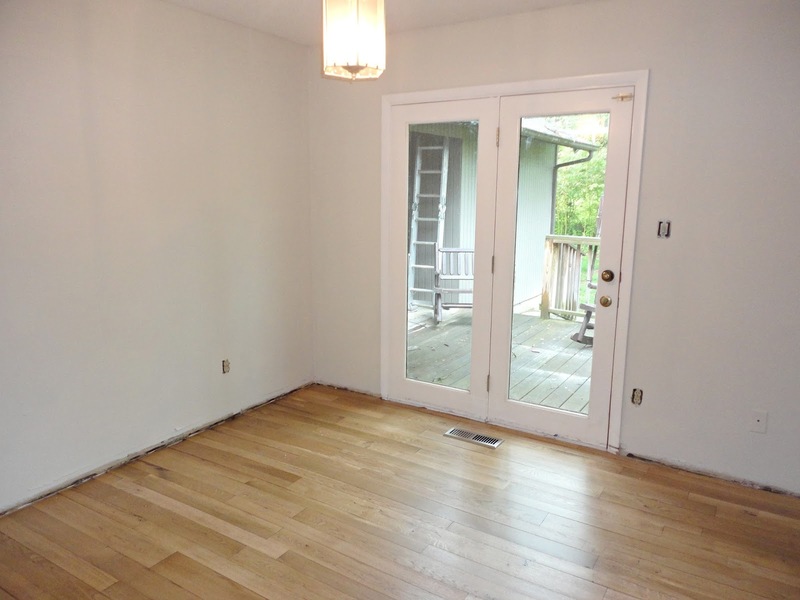 Use paintable caulk to fill in any gaps between the walls and trim. Put the caulk in your caulk gun, cut off the tip of the caulk tube with scissors, then squeeze it in a straight line along the top of the trim where the gap is. Then use a rag to wipe up the excess. (You can also use a caulk finishing tool, but I usually just use a rag.) This step takes a little extra time, but I never skip it. It just makes everything look so seamless and professional. Here's a really great short video that shows how to caulk trim. It's exactly how I do it. 6. 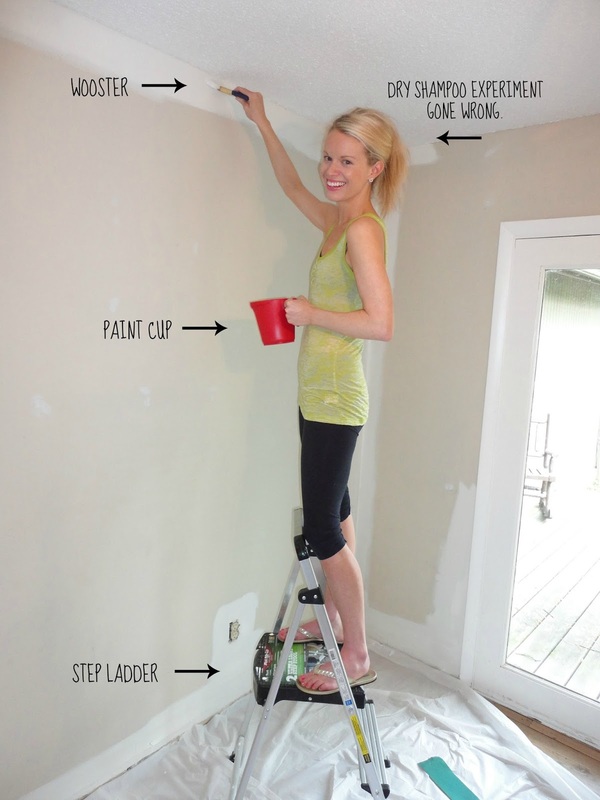 If you have areas (like trimwork or ceilings) that you don't want painted, you can use painter's tape to prevent paint from getting on those areas. Make sure to press firmly along the edge of the tape to prevent the paint from bleeding underneath. Once you're done painting, remove the tape while the paint is still wet. If the paint dries onto the tape before you're done (or if you just forget), use an exacto knife to cut the tape off. This will prevent the tape from pulling up your paint. These days, I rarely use painter's tape anymore. My little Wooster paint brush is so precise that I just don't need it. It makes edging in around corners, ceilings, and trim so easy, and I never paint without it these days. It's about $5 and worth every penny. 7. Prime if needed. 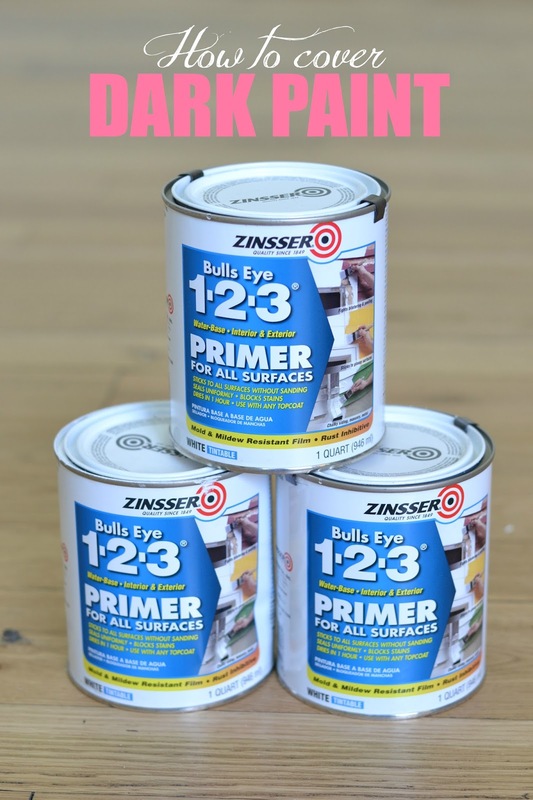 I prefer to use a paint and primer in one to save time, but if you're painting over any really dark paint colors, it's usually good to apply a coat of primer separately before you paint. 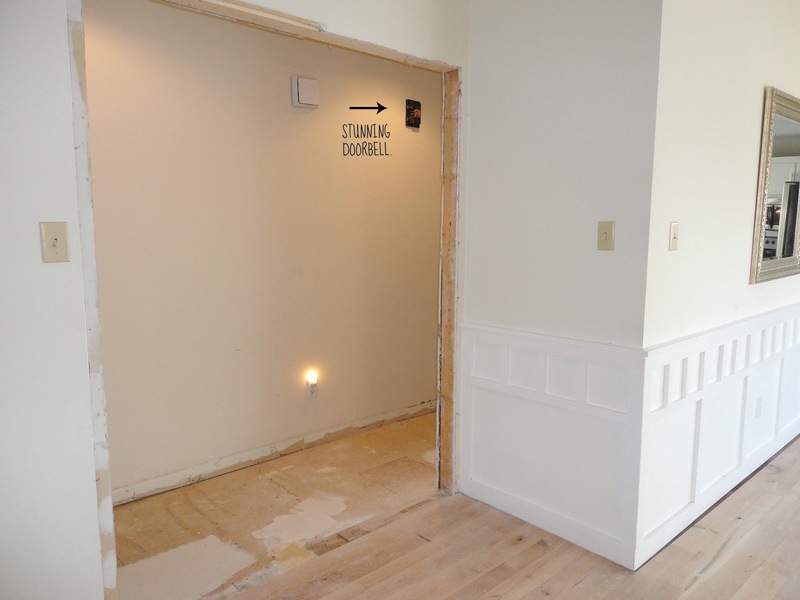 If I have to do this step, I usually go with Zinsser or Kilz. Just make sure you get the water based kind, as you'll most likely be using water based latex paint. 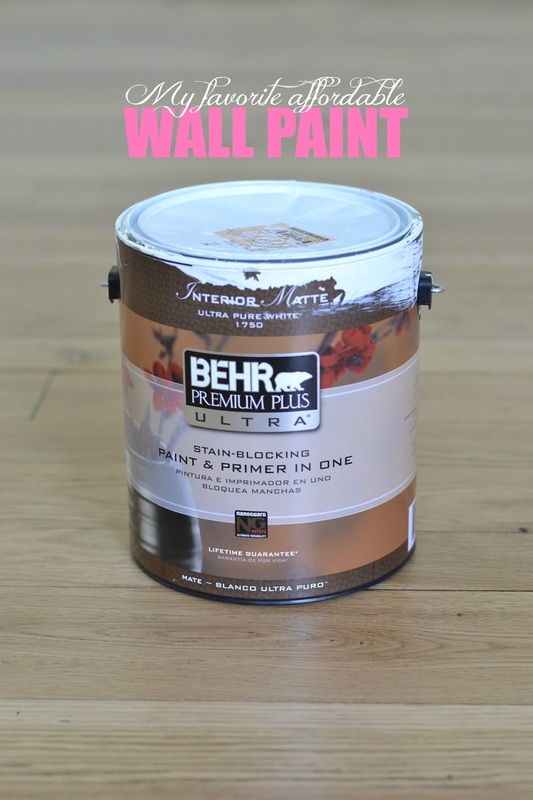 When it comes to paint, most of the time I end up using Behr Premium Plus Ultra in flat for my walls. It's affordable and provides great coverage. When I start painting, I always edge in first. 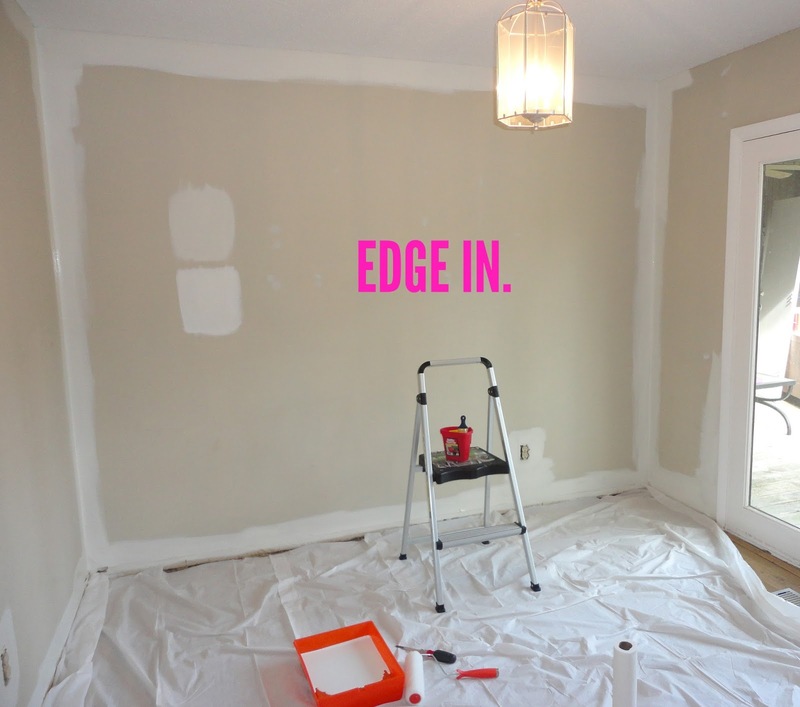 Edging in is when you paint around the corners of the room with a paintbrush. It gets the paint in all of the spots that the roller can't get, and it creates a nice clean line along the ceiling, etc. I use my Wooster brush to paint along the top edge of the trim (unless it's missing, like right now after the flooring was installed), ceiling, and corners. I hold the brush the narrow way, opposite of the way you would usually hold it, and this gives me a really nice straight line where I need it. 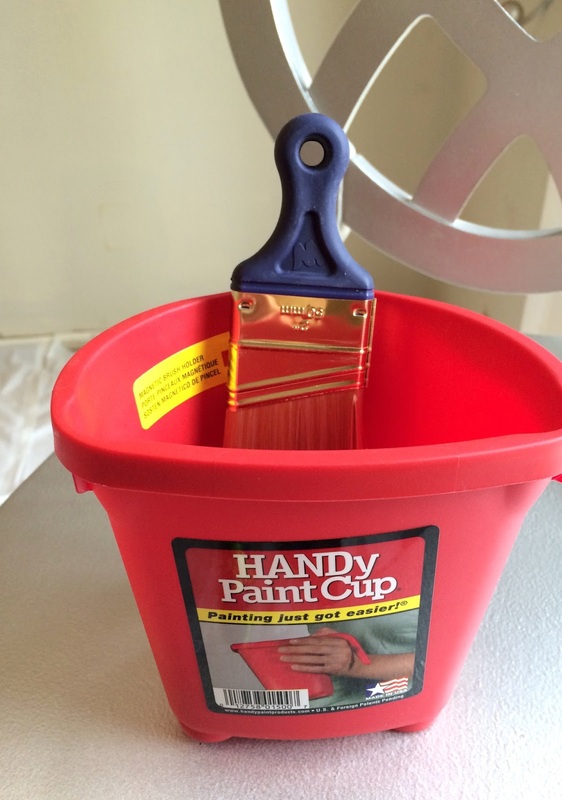 Do yourself a favor and get one of these little Handy paint cups. It has a little handle on the outside, and a little magnet on the inside that you can attach your brush to. I use it every single time I paint. And I've seriously used it about 9,000 times since. He was clearly a man who knew what he was talking about. 9. After I'm done edging in, I use my roller to cover the rest of the walls. I try to cover about a 3-5 foot section at a time, moving my roller back and forth until the section is fully covered in paint. I paint in a 'M' motion to prevent roller marks. Keep a wet edge, and work from dry to wet. When the first coat has dried, repeat with a second coat if needed. 10. Once your paint is dry, you're done. You can clean up and get back to living a normal life. Or you can be like me and still have 800 things to do. Also, ignore my back deck. It knows not what it do. If you also need to paint your trim, you have two options: #1: remove and paint, or #2: Leave it on and paint it while it's attached. You may remember that the first time I painted the house several years ago, I left the majority of the trim on the walls, and just painted it while it was attached. 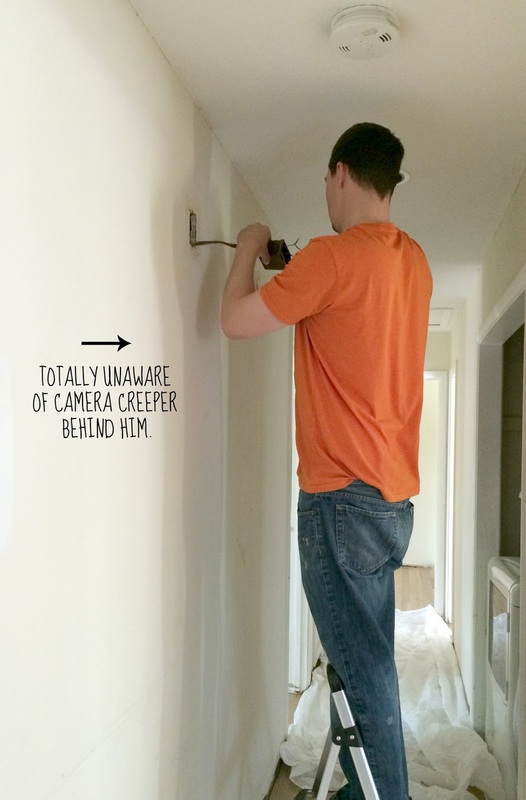 If you're doing it that way, you'll most likely want to paint your trim before you paint your walls, and then edge in with your wall paint. It's just easier that way. You can find that tutorial here. 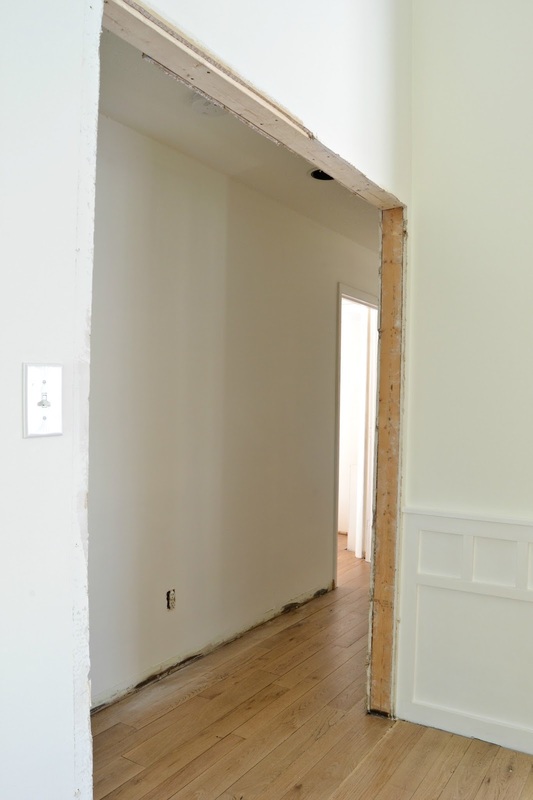 In my current situation, we had to remove all of the trim to install the floors, and so we decided to replace all of the 1970's trim with more substantial trim. So, we are currently in the process of installing and painting the trim, after we painted. Expect me to blog about that in 2017...or at least a few weeks. And that, friends, is how you paint a room. I hope this helps answer some of the questions that you may have. There's still nothing in any of our rooms right now (although we did move the couches upstairs this week. Miracle. ), so most of the rooms are just big empty boxes. But, if you're curious...I did include a few pics of the kitchen and living room in the post earlier this week in case you missed it. I'll be back soon to share more! In the meantime, I'll leave you with some Cheese. She seems to really appreciate my new floor registers/air vent things. Just look at her little foot caressing it. Girl knows an upgrade when she see it. thank you so much for the post Virginia you do not know how helpful that is. i have a small question though but it might sound stupid but i honestly have no idea, so how do you wash your paint brushes and that little handy bucket of the paint? also what do you do to the brush that was used in the same paint but gone dry while you wait for the paint first layer to dry? I use that kind of brush, it is awesome. And easier on your hands and wrist too. I totally love that paintbrush. I usually go for the Purdy XLCub, but needed a cheap one, so I tried that small Wooster and loved it! what paint color did you use or did I just miss it? 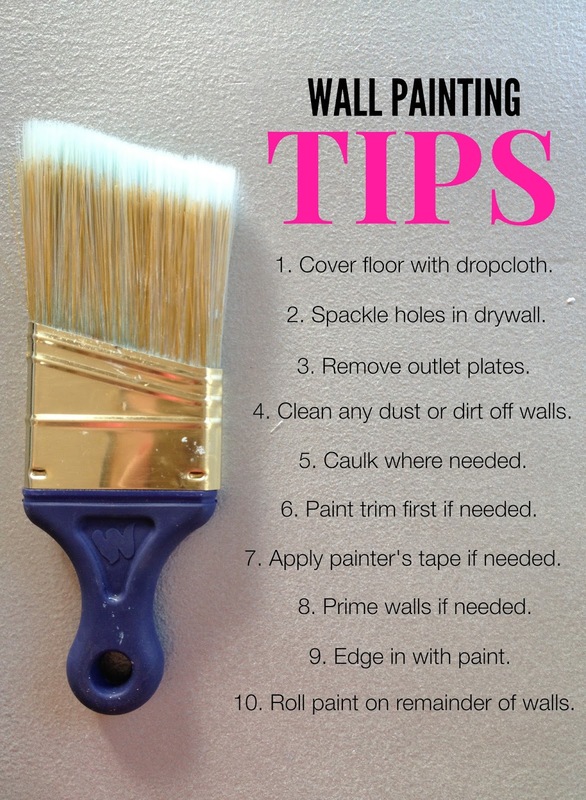 I've painted many rooms, Virginia, but never know whether to do trim or walls first, so this was very helpful! I have to try that brush. Great tips. I pretty much paint my trim every time I paint. I'm obsessed with clean and fresh white trim. It will look so good that you are replacing all the old trim. 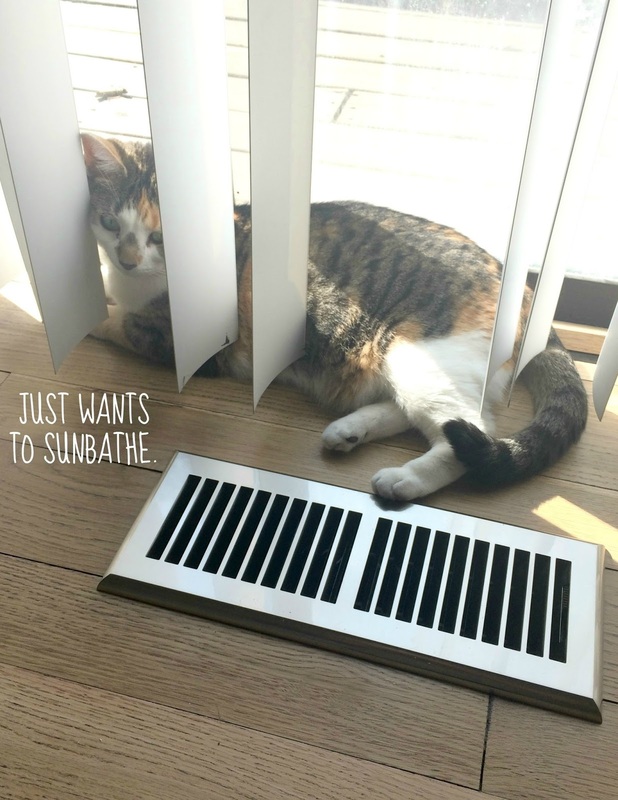 My cats love the floor vents in the winter when the heat is blasting. They are funny. Virginia, this literally could not come at a better time. Our painter has been flaking on us and I was considering painting the boys room myself, but then I thought - well, where would I start?? You have perfect timing! Question - I'm thinking of painting the boys room three wall white and one accent wall navy blue. My friends keep telling me that white is boring, but I think it'll showcase the blue wall and give the room a nautical look. I was wondering what your opinion is. Did you know they combined two of your aforementioned loves?! Thanks for the heads up because I am scared of painting. When we moved into our new home I had to paint my daughters room and the master bedroom because they were in desperate need of it but I still haven't touched the trim and it really needs it! I only wish I had known about edging - because honestly? I didn't have a clue. That would have made life so much easier. And hopefully I can figure out the trim thing later this month - I'm hoping to get to it now that it's finally warmed up here in NE. LOVE LOVE LOVE this blog. It has even inspired me to blog about designing and building our home later this year! I didn't even realize that this little part of the internet existed (Decor Blogs) or at least to this extent of a community! And so of course I've been obsessed the last 3 months at finding every little thing I'd like to incorporate! I agree with "trimming out" walls first and then coming back with a roller. The only suggestion I have is to make sure you are coming back with the roller when the edge work is still wet. You want to "feather in" that paint brush. So you may have to do one wall at a time, put down the brush, roll the wall out, then the next wall. This will lessen the chance of "windowing" or "framing". Second, I also use the "M" motion whilst I paint as it does much for coverage purposes. After you finish your final coat (and the roller is not full of paint but also not too dry either) you should start on the left hand side of each wall and roll top to bottom.. top to bottom.. top to bottom.. until you reach the right hand bottom of that wall. This helps the "fuzz" or "nap" of the drywall to all lay the same way.. this also reduces roller marks!! Anything that makes you not pull your hair out after you've done all that work!!! Tip I was given recently regarding painter's tape and bleeding - Pull a credit card along the edge to firm the seal.